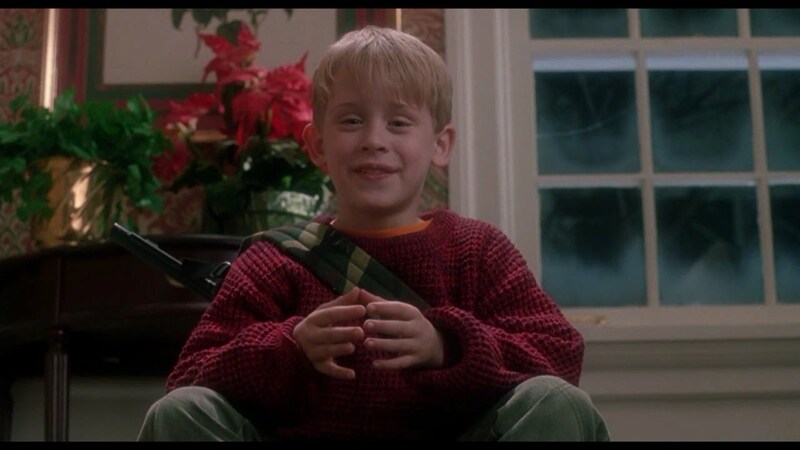 Home Alone 1, directed by Chris Columbus, released in December of 1990 stars a young Macaulay Culkin as Kevin McCalister as his very large family leave for the Holidays. However due to faulty alarm clocks and a taxi-driver-annoying child Kevin is left behind as the aptly named “Wet Bandits” size-up his mansion for a robbery. So what makes this such a great Christmas film? Well I think everyone has different answer… Some say its the perfect acting from Joe Pesci, Daniel Stern and of course Culkin. Others say its the genius blend of heart and comedy to give something that really resonates with us and others say…it’s the snow… To me its simply the execution of this relatively simple story that everyone knows by now; a boy is left home alone at Christmas but there are robbers coming to steal from his family home. It seems so relate-able even though it’s never happened to me. It’s sort of in-describable; the feeling is just so Christmas, it makes my child mind believe I could take on the world.